Usually, many people have second thoughts about a free website for nonprofit organizations. The doubt of necessity of a site is a common thought among many newbies, and no one gives it importance until or unless they suffered a loss. Why We Need a Website for NGO? Before covering all the points of Free website for nonprofit organizations you must know What is NGO & why they need a website for his portfolio. NGO is a non-profit organization that many people understand the efforts the members are making for mankind and human rights. There might include several NGOs in the country today, but no one can deny that one helping is much better than nothing. The country switching from television to internet and JIO technology increased the internet consumers in India. People are now searching for queries than asking or consulting someone for the information. Every NGO must have a website that explains the efforts the members are making every day to make the life better for several people. NGO does not make profits, so the organization relies on the donations from all four ends, so it is an important aspect to explain and present the NGO efforts to the donors. The soon to be donors check out the site for information and legitimacy and it can get the donors confidence on the NGO, and you don’t have to spend a lot of time speaking about it. There are several benefits of having a site for NGO, and we are going to list some of them down. You might have already realized that there are several illegal NGOs in the country. Several people have complained that they are receiving calls from fake NGOs and collecting funds from them. Having a website will help the people find out about the legitimacy of the NGO. In case, if your site is missing and the information is incomplete, then the reputation will suffer. Time is an essential part of the NGO because the members can invest the saved time on something else. Explaining and reaching people is extremely difficult, and everyone is busy so that a website can increase chances of donation. Busy people find time at least once in a day, so they will be most likely to check out the site then call you for the information. Reputed NGOs have certification from the Government, and they get a lot of attention from the mainstream media and donations as well. A website can help the organization reach a wider audience, and you can display the certifications the NGO earned over the years. Virtually, you can demonstrate the potential of the organization and efforts at the same time. You can set-up for volunteer’s page, so they get proper credits for making an effort to help the people in need. A credit page can boost the confidence of the people, and more volunteers will come forward to become part of the organization. Donation goals are an important aspect of the NGOs because it is a place that requires real money to cover the expenses. Add a page or widget on the homepage to tell the world about the donation goals so that they can add value to it. The benefit points of NGO site will keep going on, so we are going to end it here. Here are the benefits of having a NGO website. YouStable is a software and website developing company in Lucknow that supports NGOs and non-profit organizations. The company welcomed by the loyal for many years and the support from the people has encouraged expanding our services. YouStable supports the registered NGOs, so they can carry out the digital marketing plans without spending a single penny. Make sure that you have mapped out everything about the design. The company takes credits in the footer for making the site for free. The NGOs must provide Images, Information, and Content in the site. You have the right to select free charity responsive website templates, so we design based on your choice as well. There are several free charity websites templates available, and we will take your requirements into account. We are ready to craft the content for you when the site has complete information about the goals, details, and more. YouStable Company will not charge because it is a free website for nonprofit organizations. 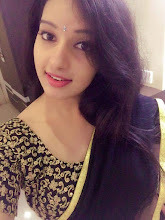 A charity website in India will help the NGO to generate better donations to cover all expenses and help more people in need. We have covered the free website for nonprofit organizations, but you need a free domain registration for NGO. A free website for nonprofit organizations cannot run without a proper domain name, and we are going to help with it as well. We can avail a free .com domain for a year without charging a single penny. Fortunately, the renewal prices have gotten down, so you can purchase by spending very little. You can also get a free domain registration for NGO, and we will support you as long as possible. We will offer dedicated support to the NGO team, so you don’t have to worry about customer support. 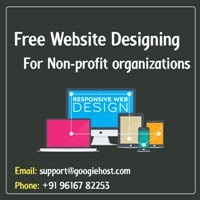 YouStable owns another web hosting company (GoogieHost) that offers free website for nonprofit organizations for everyone. We have optimized the free web hosting for smaller sites like blogs, business sites, presentational sites, event sites, and non-profit sites. We can assist the NGO or non-profit organization to sign up for a new account and host the website on it. If you are someone, who does not know to optimize the web hosting, then we will provide minimum support from our end. Ultimately, you hold the keys to the web hosting access, and if we have your permission, then our team will manage the account for the organization as well. Millions of NGOs or non-profit organizations are making an effort to help the people in need without expecting anything.I hope you will find the right place to host free website for nonprofit organizations. YouStable is a digital marketing company aimed to sell services such as web hosting, domain registration, social media marketing, search engine marketing, and content writing, but we are also making an effort to add value to the NGO through our platform.